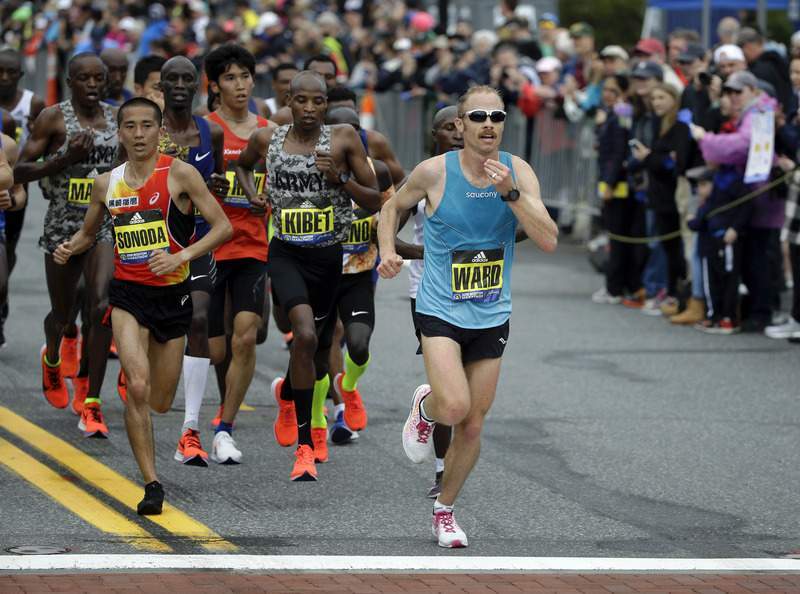 Associated Press: Geoffrey Kirui, of Kenya, leads the pack during the 123rd Boston Marathon on Monday in Newton, Mass. 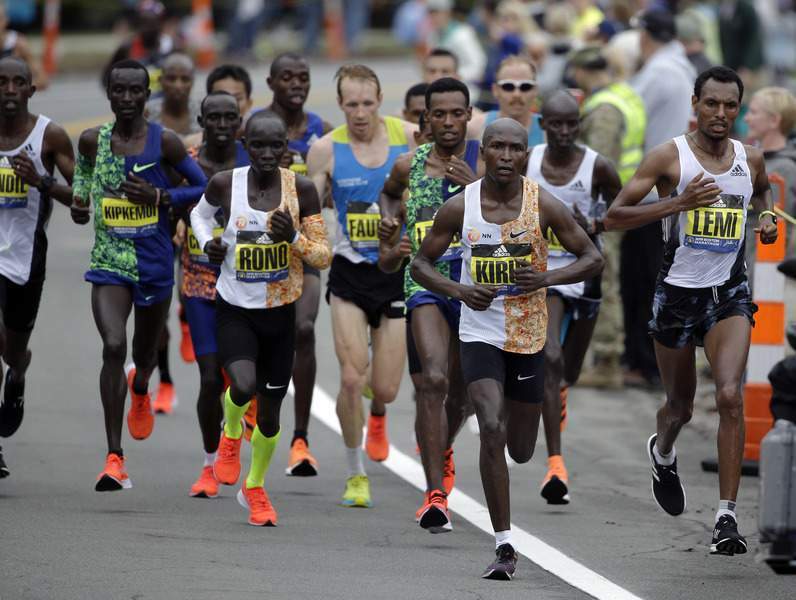 BOSTON -- Kenya's Lawrence Cherono outsprinted Ethiopa's Lelisa Desisa during the final few steps to win the Boston Marathon on Monday. 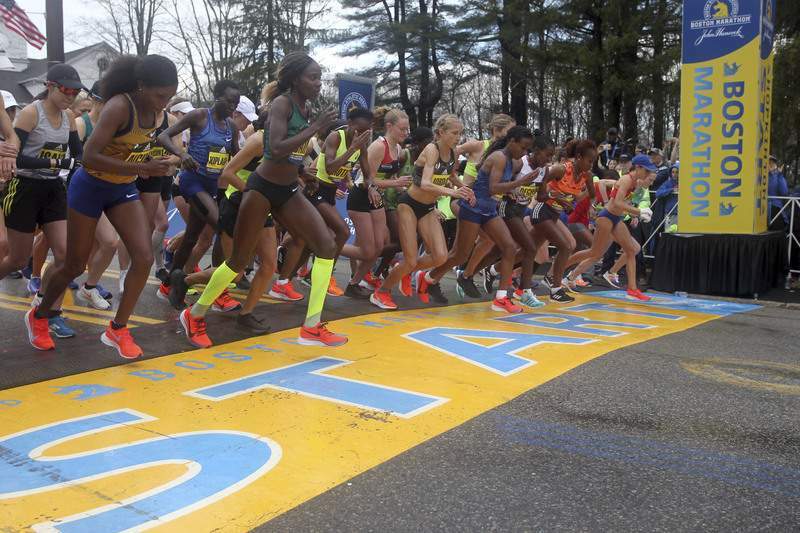 Ethiopia's Worknesh Degefa broke away from the rest of the field early and ran alone for the last 20 miles to win the women's Boston Marathon. 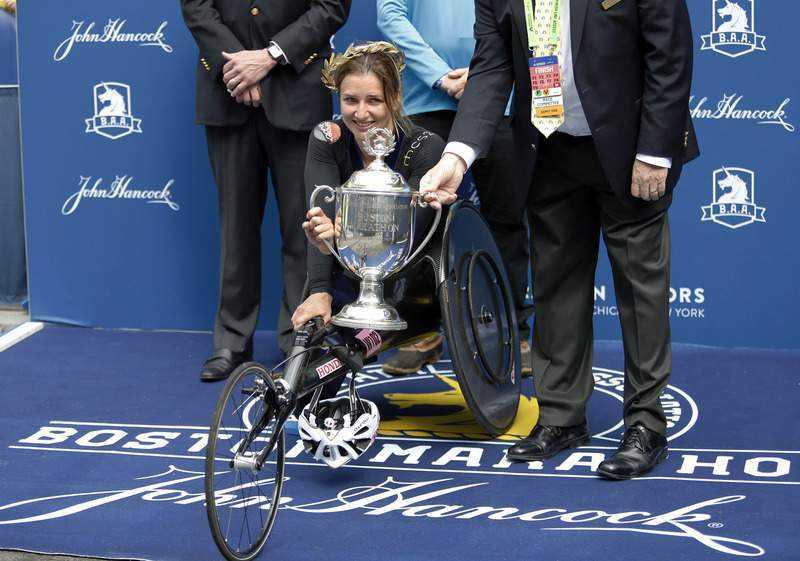 Degefa crossed the finish line in an unofficial time of 2 hours, 23 minutes, 30 seconds. She is the eighth Ethiopan woman to win the race, and the third in seven years. A half-marathon specialist, Degefa opened up a 20-second advantage by Mile 7. It increased to more than three minutes by the halfway point. 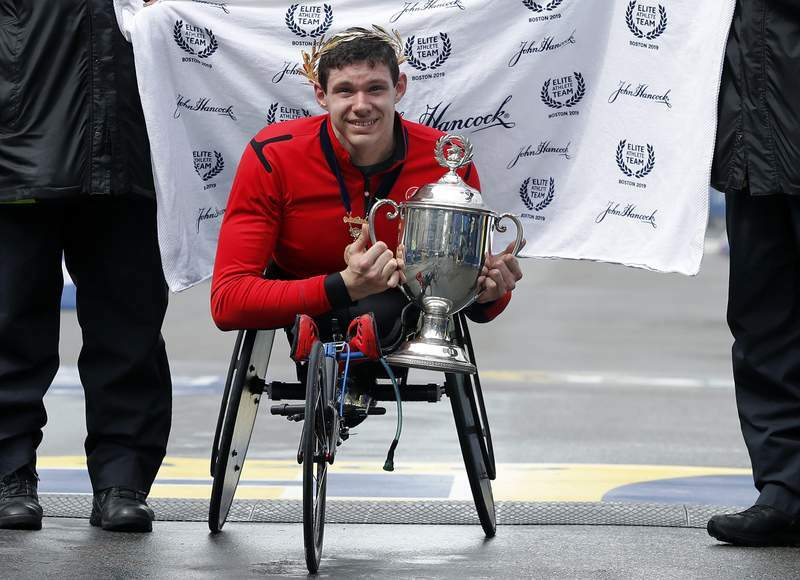 Daniel Romanchuk won the men's wheelchair race at the Boston Marathon with the fastest time ever by an American. Romanchuk crossed the finish line in an official time of 1 hour, 21 minutes, 36 seconds. Romanchuk said: "I knew it was possible, it was just a matter of everything coming together." 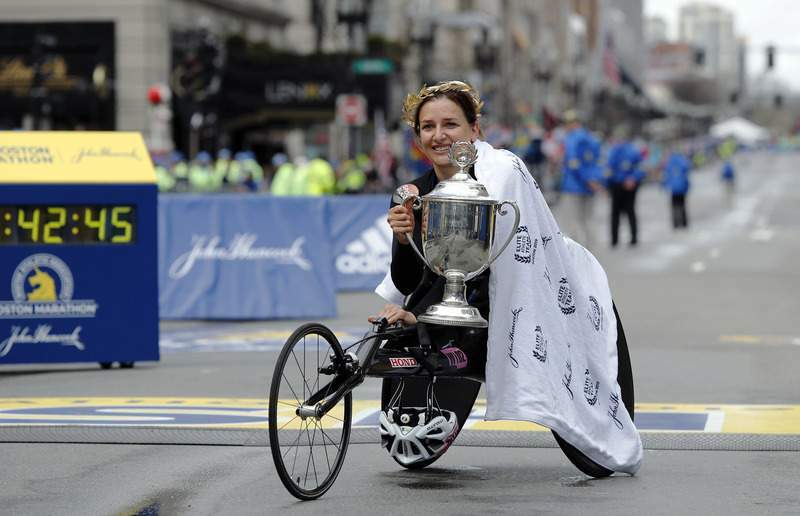 Schar, a 34-year-old from Switzerland, was about six minutes slower than the record she set in her other Boston victory two years ago.